a fun way to keep up with me throughout the day...if you haven't joined twitter...it's fun...it's simple...it's free. 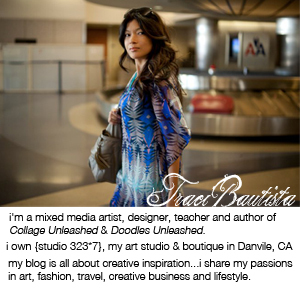 i TWEET about random happenings, musings, live event updates, post workshop photos, creative jumpstarts, info on art sales, digital downloads and loads of inspiration! 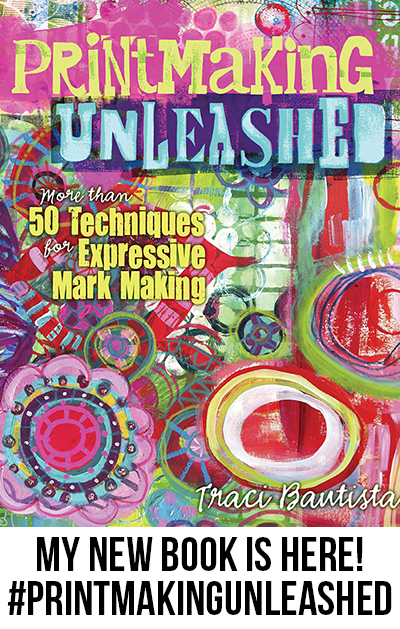 Spend a day in this process workshop to learn painting techniques from my book Collage Unleashed, like creating colorful layers with your own printing plates made from cardboard and fun foam. Create fabulous hand painted papers while experimenting with printmaking techniques including color scraping, washing, monotype, eyedropper doodles, gesso textures, dyed cloth stamping & stenciling and glazing. Create an art journal filled with random-sized pages of painted backgrounds adorned with patchwork FUSION collage covers. The journal is bound with a funky fiber spine that spills with strips of fabric, handmade pom-poms, crocheted bits and explodes with found vintage beads, colorful baubles and buttons. Learn a variety fiber embellishing techniques to create FIBERlicious decorations! Email me if you are interested in attending. paint...collage...re:VAMP your denim...make a journal...explore creative jumpstarts...a few things I will be teaching at the International Quilt Festival in Houston, TX. October 28 - November 2. For workshop descriptions and more info click here for a detailed schedule of events. Spend a week with me learning mixed media techniques on fabric. If you have never experienced this event before it's AMAZING! 60,000+ people gather at the George R. Brown convention center to learn the latest techniques, scour countless aisles of fabrics/beads/embellishments, stroll through the art quilt exhibits and watch the Bernina Fashion Show. This is my third year teaching at this prestigious event and I have a few openings in a couple of workshops. If you are interested visit www.quilts.com to register and find out more information. smiles. tears. laughter. holding hands. Last week I taught a three day workshop at Valley Ridge Art Studio in Muscoda, WI. I wanted to post pictures from the weekend until I have time to write more about the wonderful experience. My workshops were great, my students FABULOUS and I can't say enough about Kathy and Bill who hosted the weekend!! Check out the AMAZING work created throughout the spirited art-filled weekend and pictures of the beautiful setting in the middle of Wisconsin farmlands. If you missed me this time, I will be teaching May 29-31, 2009! Look for info to come! At Art & Soul in Portland, OR this week. Here is a piece from my latest collection of collage paintings that will be on sale this weekend, October 4. 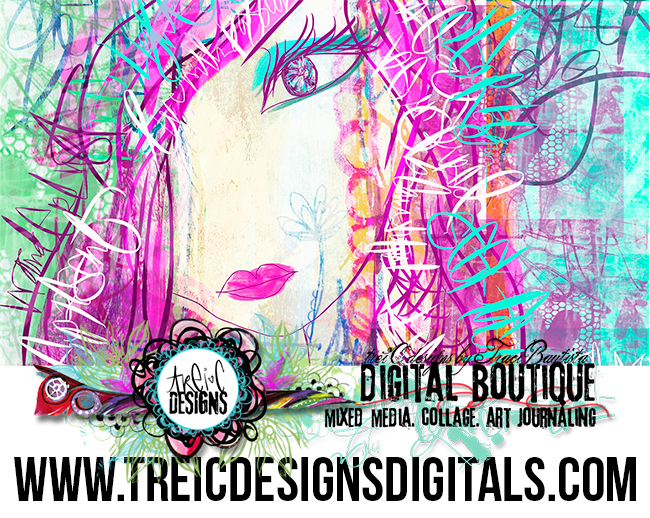 I will have a few NEW journals, art kits, DVDs and Collage Unleashed books for sale. See you there!